As far as we're concerned, great skin is a worthy investment—but that doesn't mean we don't welcome wallet-friendly formulas, especially if they're effective. And that in itself seems to be a growing trend in the industry as of late: Earlier this year, our minds collectively exploded when Deciem rolled out The Ordinary, a very buzzy line of serums that start at $6 and top out at $15. Quality formulas that you can hoard without risking this month's rent? Imagine that. And now, a cult-fave UK makeup brand is taking aim at this hyper-affordable corner of the skincare market. 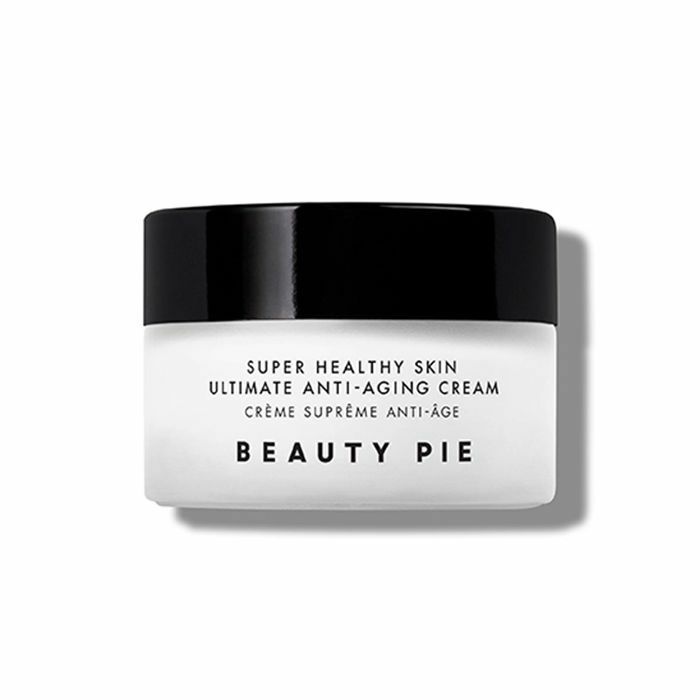 Six months ago, Marcia Kilgore (the mastermind behind Bliss and Soap & Glory) launched Beauty Pie, a virtual makeup storefront that boasts unbranded luxury formulas at production-line prices. And now, the site is throwing skin products into the mix. With all this in mind, we're already stoked about the new 10-product skincare collection, which includes serums, moisturizers, and treatments ranging from $5 to $13 (after the offered monthly membership). Shop a few of our initial picks below. This lightweight moisturizer is fortified with stem cell re-energizers, hyaluronic acid, and pollution blockers. Best of all, it subtly perfects skin tone without leaving behind an oily residue. Oh, and it's valued at $130. This cleanser takes off stubborn makeup while thoroughly hydrating and soothing skin. Made from meadowfoam seed oils, aloe vera, and vitamin E, it's a winner for all skin types. A facial in five minutes? Believe it: This facial peel vacuums out clogged pores, leaving your skin glowing and silky smooth. Consider it the best excuse for an at-home spa day. Next up, check out the workout that's as effective for back pain as physical therapy.